Power source: Battery/dc This filter is no longer available. 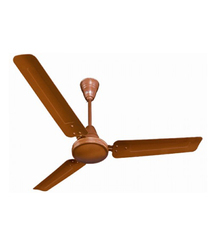 Magicool Deluxe, Blade Size: 48", 56"
Blade Size (Inches): 48", 56"
With an objective to fulfill the ever-evolving demands of our clients, we are engaged in offering a wide assortment of Ceiling Fans. 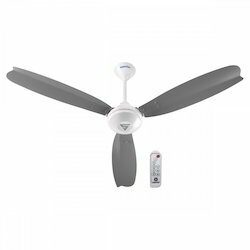 We are offering Fighter Model Ceiling Fan (Executive Ceiling Fan). For ensuring smooth, noiseless movement and trouble free operations even at high speeds, the products are provided with double ball bearings. - White & Brown Colours with impressive styles. - Pressure Die Cast Alluminium Body.